A great training system can counter two important issues we have across sports in North America. That is, it prevents early specialization and lack of long term progress, granted the candidate is suited for the sport (athletic predisposition). So what is a training system? A common answer would be the sum of all planned training within in a time frame or a ”preparation”. A more accurate answer would be the sum of all planned training done in one’s career. It may also include stages of training done prior to starting your career (i.e your background is relevant). We know training has to evolve over the years. It evolves by becoming more specific and by including more workload. It becomes apparent that such an evolution can be broken into phases and characterized. By doing so, we agree that a training system is a long term plan (a career plan), in which the athlete goes through carefully planned phases of training based off their training age (both their age or time in the sport) and level. Thus, a training system is the planning of training phases/stages, based on logical sequence, over a sporting career. Over the years, experience and scientific inquiry have lead to the conclusion that these stages/phases are age-dependent. This means that there is a favourable window for developing sport-related physical and psychological parameters. This is pretty much the reason why starting any sport late usually doesn’t lead to world class (or even national) performance. 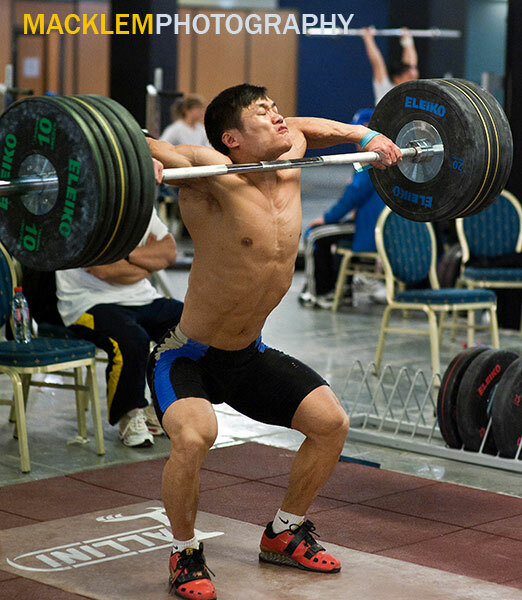 On the other hand, early results in the sport of weightlifting does not always translate in results in the Senior stage of the athlete’s career. That is, early results does not mean you can skip steps as is often done. The base still needs to be built, even if you are doing great result ahead of the planned time. Skipping steps leads to problems in later stages of training – injuries, lack of progress, technical issues, etc. Early specialization is an unfortunate reality in many sports in North America, including weightlifting and hockey. The bigger the base you build, the better the results will be as you turn senior. Every stage has a different goal and the progress you make in each stage is dependent on the previous stages. A young talent entering the sport around stage 3, coming from a sporting background, would be expected to learn a high amount of exercises (both weightlifting and non weightlifting) and should do great ”Junior” results by Stage 5 and achieve their maximal results in Stage 6. In other words, we would expect a slight increase in result every year until the athlete reach career best 10+ after they started. Abrupt rise of results usually leads to fewer result gains later on. Interestingly enough, I have done calculations on some of our best lifters who I know have developed an immense bases in their junior years. These athletes tend to increase their results by 8 to 12% every year in their senior years (depending on category, gender and years in the sports). Thus, proper planning of training across years can prevent lack of results in later stages of training. What is a great training system? A large base leads to peak performance, 10 years later. A great training system is a system that goes from a wide base to a very specific peak of performance over 10 years. It goes from a highly varied exercise selection to a more narrow one in later stages. It goes from moderate volume and lower intensity to higher volume and intensity. 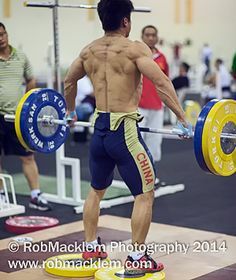 It goes from less actual competition lifts to more competition lifts. It goes from less training sessions to more training session. More importantly, a great training system is a system that builds general work capacity before raising volume of specific exercises. Work capacity is highly overlooked in current methodology. If you have ever coached a great crossfitter, you must have noticed how they seem to always be ready while weightlifters tend to need more rest. An increase in work capacity means that the athlete will recover faster – thus be able to handle even more loading and volume. This is necessary for later stages of training. We don’t want to be chasing this at 25 years old when we should be chasing career bests. Athletes like to change training system whenever they fear like they are not making progress. The contrast between two systems usually leads to significant short term gains. This why this is a great trick to use within your system to ensure gains in competition, without sacrificing the long term approach of your system. This also a compelling reason to not change coaching methods too frequently – the idea being that this works if the base is good enough. Indeed, an athlete coming from high volume moderate intensity – to high intensity low volume, will increase results quite rapidly but then stop to make progress. The same thing will be true for the opposite. This methods works well because 1) you are doing something different and something you are not adapted to, 2) its a mental break from what you were doing (feeling of novelty) and 3)the feeling of progress is the best motivator. This illustrate the high importance of carefully planning training phases, variation of training exercises, and more importantly, the importance of varied training stimulus (training at different volumes and intensity percentage). A great training system recognize this and plans periods of higher intensity and periods of higher volume to get the benefits of the clash between training stimulus. This is why loads, sets and reps and exercise selection varies across weeks and time. This is the key to long term results whenever you start a youth in this sport.